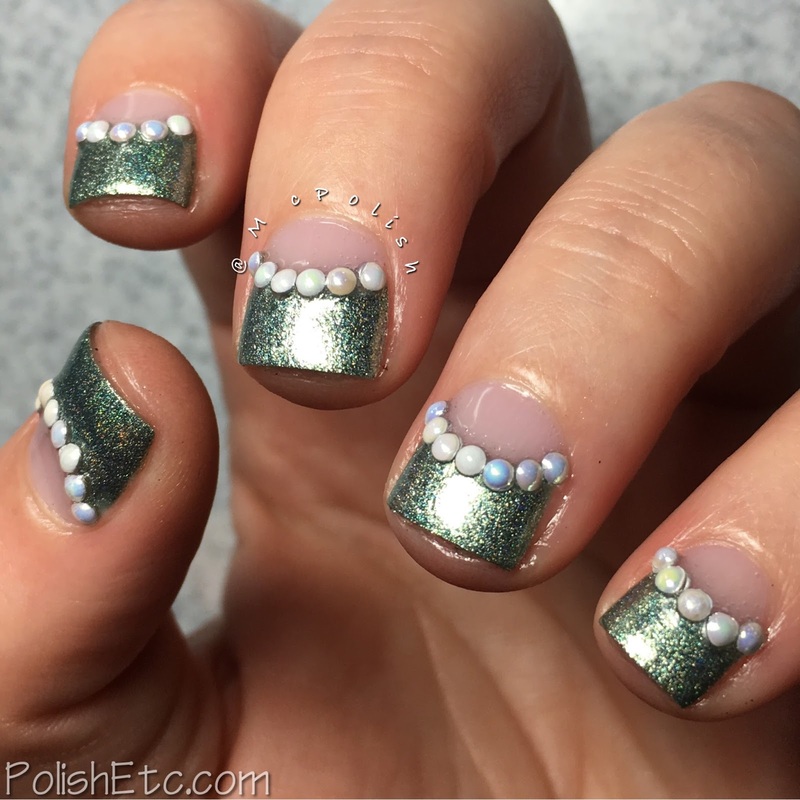 Half Moon Nails for the #31DC2017Weekly - Polish Etc. Today, for the half moon prompt of the weekly version of the 31 Day Nail Art Challenge, I did some half moon nails. Haha. But seriously, these are just some simple half moon nails with embellishments. I always enjoy seeing manicures with negative space half moons. They always look very classy and simple which is what I like in nail art. You can use any color of finish and it looks good. I swear! To create the half moon effect, all you need is a round sticker or a small flat brush. I used round nail vinyls for this mani but have also paper hole enforcers. I have also used a french brush to carve out the curve with acetone. All of them work but the vinyls/enforcers are the easiest in my opinion. The light green foil polish is Cirque Colors "Sencha" which I applied over the vinyls in two coats before removing them. Then I added these tiny half pearls which had a cool iridescent effect. I have no idea where they came from, just a random wheel of embellishments. I then applied a thick coat of glossy top coat over the entire mani. I really like the ways these turned out. 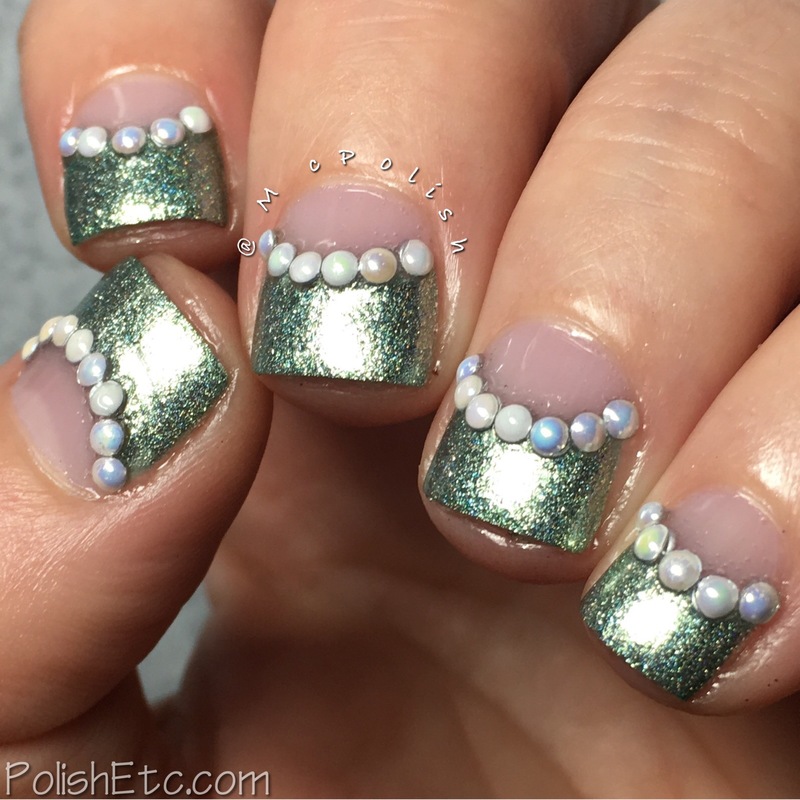 The mix of soft green and pearls makes an elegant effect. Be sure to check out all of the other participants in the challenge under the tag #31DC2017Weekly on Instagram, Facebook and Twitter. That reminds me of mermaids so much! :) Love it!